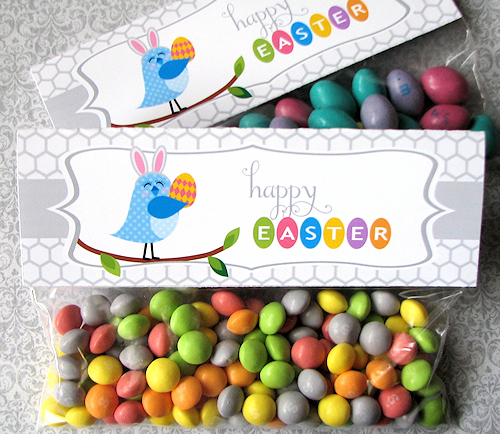 Create these fun and simple Easter treats and favors using the pre-packaged Easter candy found in your local stores. 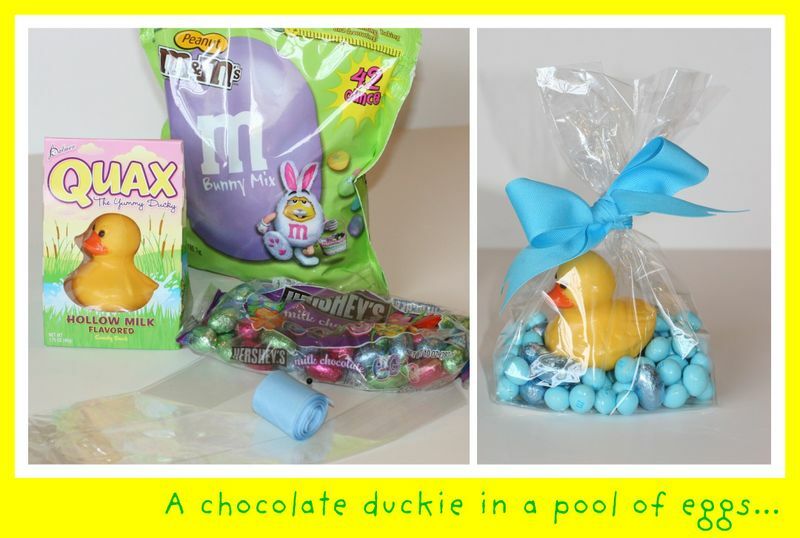 Adorable Chocolate yellow duckie for Easter favor bags or a baby shower. Yellow chocolate ducks came from the Dollar Tree. We found this idea over at All the Small Things. Click here for complete Instructions. 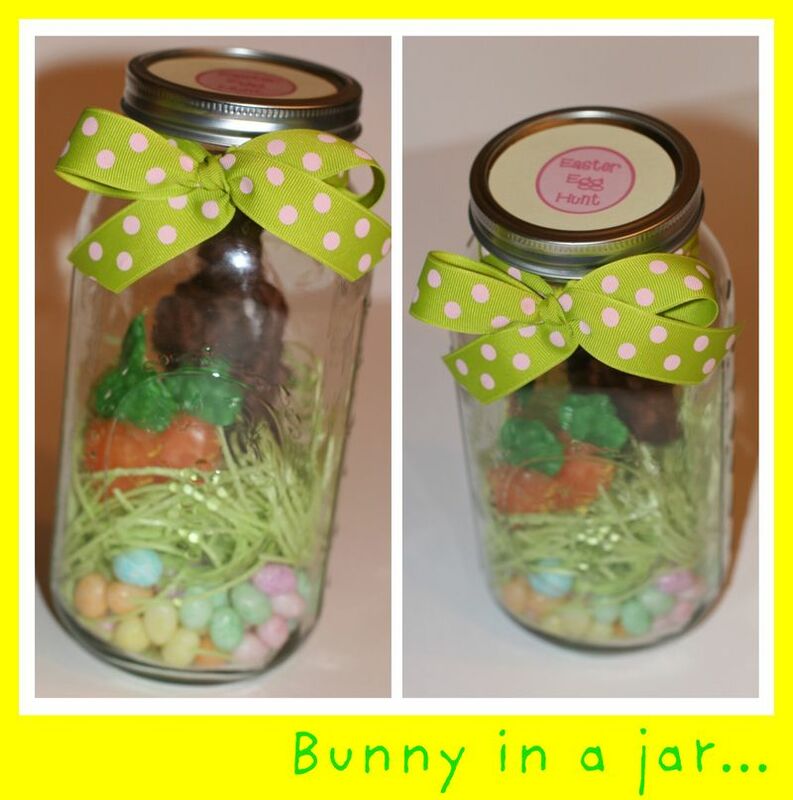 A creative way to make a simple gift using store bought Easter candy. We found this idea over at All the Small Things. Click here for complete Instructions. 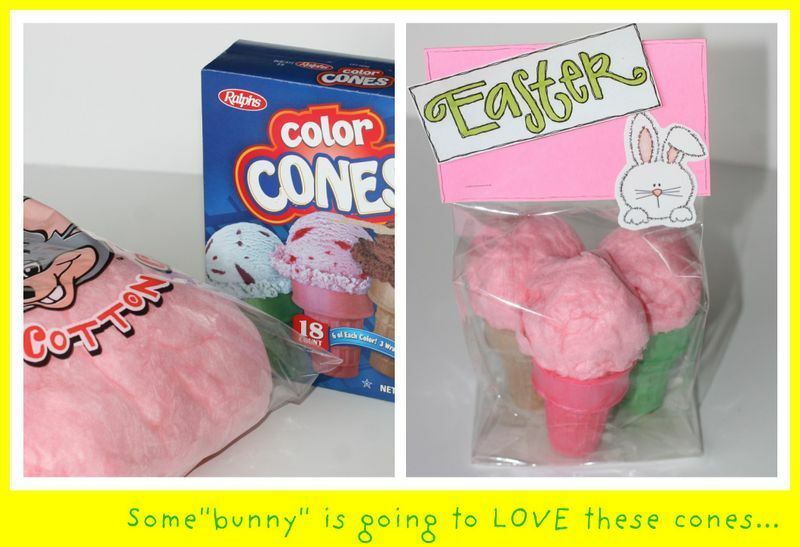 Here is a fun way to use the store bought cotton candy that I've seen in the dollar bins at Target and the Dollar Tree. We found this idea over at All the Small Things. Click here for complete Instructions. Fun Easter bag toppers to use on the above party favors or classmate gifts from Anything but perfect. Click here to get your free bag toppers.